After my second at BUCS last weekend I wanted a good ride today however I knew with Tom riding, a win would be a long shot. I had decent form so I went out hard attacking the road from Bovey to Moretonhampstead. I recovered on the downhills, pushed it on the rises and resisted the urge to hit Central Stores. I hit the short side of Doccombe flat out and crested the top in under 28 minutes so I knew I was on a good one. It had been dry for the last few days so I knew the descent would be safe and I flew down in good time. The valley was definitely my preferred terrain and I wound it up all the way keeping the numbers as high as possible. I was feeling good and got into a rhythm using the corners as rests. I dropped it into the little ring for Tappers hill as I knew I had the final climb at the end where I wanted something left for a big effort. I recovered to the junction and clocked I had got to the end of the valley in 50 minutes which gave me the motivation I needed for the finishing climb. 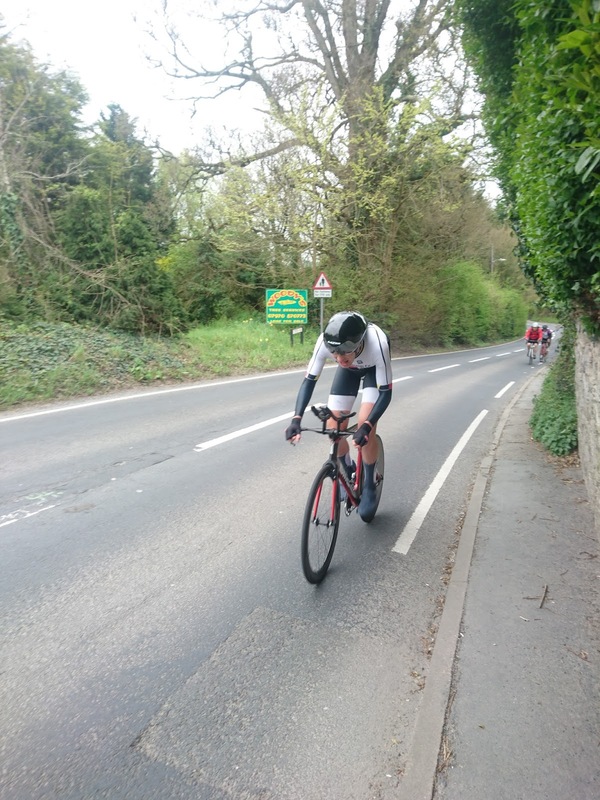 I gave it everything and finished in 52:31, four minutes quicker than last year and took the course record so I was chuffed with the ride for sure! In the end Tom put 1:20 into me winning with a rapid 51:11 (and taking the CR again). I knew I couldn’t have done anymore so I was happy with second; especially on a course like this one. 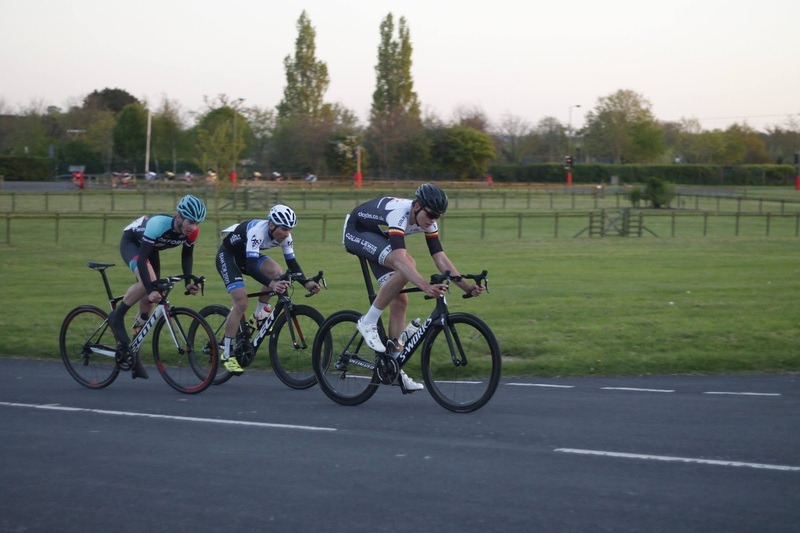 I rode the 2/3 crit at Westpoint on Tuesday for some last minute speed before Totnes-Vire. The plan was to just attack immediately and see what happened. It strung out but nothing was going after 10 minutes of flat out racing. I swung off the front and some more attacks from Team Tor and Kibosh went keeping the pace high. It stayed strung out for most of the race which was good but I needed to get away. At some point a group of 7 of us slipped off the front and a couple of us drove it getting quarter of a lap on the bunch. We only had 15 minutes or so left and there were too many people sitting in so I attacked on the climb a few times but couldn’t shake anyone. With 4 to go a Tri UK guy attacked so I followed and went over the top of the climb and managed to get a gap. I managed to pull out a gap but my legs were feeling the efforts from earlier which was not ideal. I had a glance and I had maybe ten meters. With three to go I put in an effort on the climb to shake them for good as I knew they’d start looking at each other. Over the top I’d extended it and I knew the win was in the bag and cruised the final couple of laps to take a solo win! It’s looking good for Totnes-Vire this weekend so hopefully I can get over the climbs and see if I can get a result.